Gilde Education offers suitable education for adults, youth, (im)migrants, and natives. Both during the day and evening. Our civic integration courses are among the best in The Netherlands. Our students give us a good mark for our education. Gilde Education has been awarded the “Blik op Werk” (Focus on Work) hallmark. During your course a mentor will help/guide/assist you. We will help you apply for a DUO loan and the civic integration exam. Our learning centre is open five days a week and offers tutoring. You can practice with our online language programme almost anywhere, even at home! Do you want to do a course and work as well? We can help you by putting you in contact with a consultant of the employment agency we work with. Would you like to do a secondary vocational education (MBO)/vocational education while taking a course or after you complete one? We work together with Gilde Opleidingen, which is a school for vocational education. 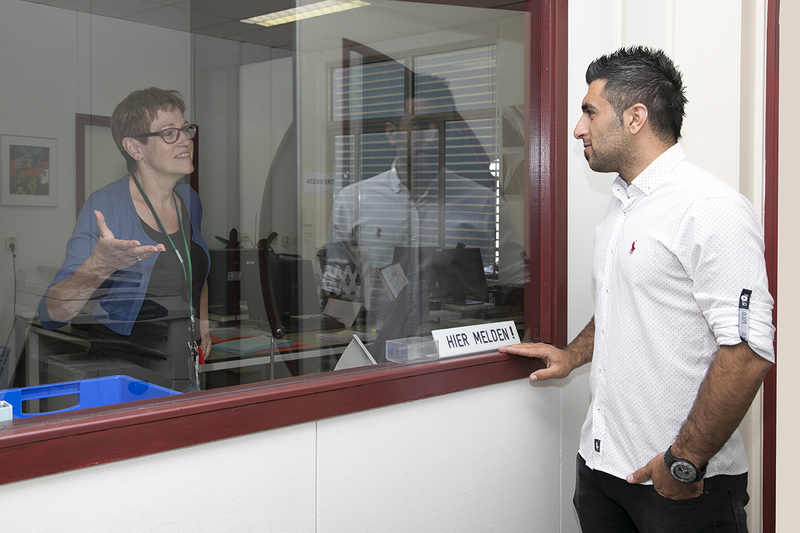 You can do a civic integration course and a vocational education NT2 – Entrance at the same time. In that case you will learn a profession in the workplace. A diploma increases your chances of finding a job and allows you to do another education at a higher level. 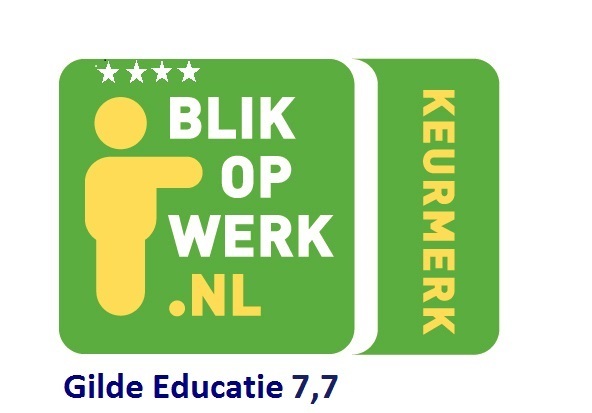 Gilde Education has been awarded the “Blik op Werk” (Focus on Work) hallmark. A school with this hallmark offers quality, makes goede afspraken, and the students are satisfied. Our students graded us with an 7.7/10. Duo only grants loans if you do a civic integration course at a school with a “Blik op Werk” hallmark.